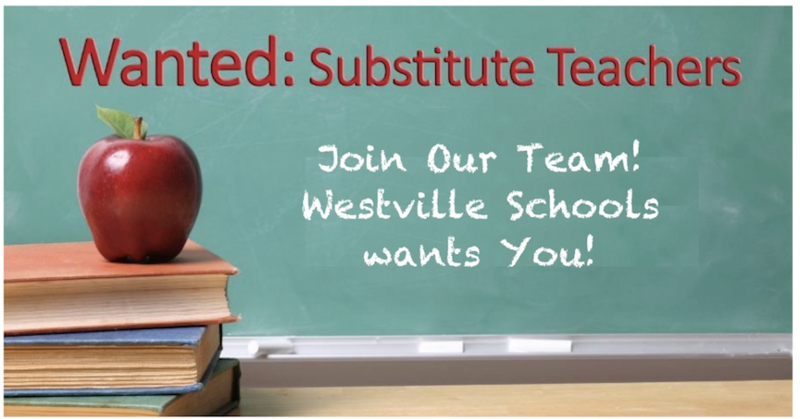 Westville School District will be hosting a Substitute Teacher Fair, Tuesday, August 14th from 6:00 pm- 7:00 pm. If you enjoy working with children while maintaining a flexible work schedule, you should consider becoming a substitute teacher! New state laws have now made it possible for anyone with a Bachelor's Degree, Associate's Degree, or 60 semester hours of college coursework to obtain a substitute teacher license. The substitute fair is an excellent way to gain more information about the requirements and get the process started. At the substitute fair we will help attendees make an ELIS account on the State Board of Education's website, fill out paperwork for fingerprinting, and will then deliver all documents to the Vermilion County Regional Office of Education. We hope to see you there! If you are unable to attend, please contact Katie White at (217) 267-2154 ext. 250 for more information.